sales go to support those in need. 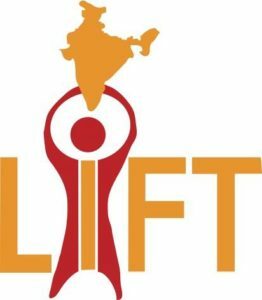 Leading India’s Future Today (LIFT) is dedicated to developing leadership excellence in motivated and talented youth in Tamil Nadu, India. LIFT provides quality education and a home environment for youth with high potential who would typically be denied schooling due to limited access to resources. LIFT students and staff are committed to transforming their society from within to help combat poverty, unemployment, and disease. The reason I’m passionate about LIFT is because educators are using positive psychology to teach leadership skills to students so they can return to their communities to make a positive difference. Thanks to your support, we’ve been able to put 5 kids through school. Assisting 91.4 million people in around 83 countries each year, the World Food Programme (WFP) is the leading humanitarian organization saving lives and changing lives, delivering food assistance in emergencies and working with communities to improve nutrition and build resilience. I’m passionate about WFP is because I want every child to have the nourishment my own children receive everyday without worry. Additionally, 93.5% of every donation goes directly to help children and their families, versus being spent on administrative costs. We donate monthly through the ZeroHunger program. Thanks to your support, we’re feeding 12 children each day.